Home Uncategorized Turn an advert into a poem! 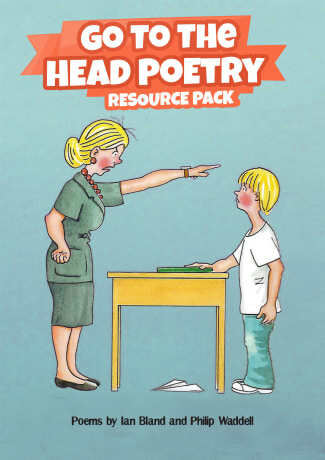 Poetry should be fun, poetry should make you laugh, poetry should bring joy to your heart and what could bring more happiniess than putting your teacher up for sale in a poem? I often perform this poem on my travels around primary schools and the children in your class will enjoy writing a poem similar to my example above. Instead of a teacher perhaps they could put their brother/ sister, Mum or Dad up for sale? Before embarking on a poem like this your class should get the opportunity to explore the peculiar up-beat and time conscious language and vocabulary of the high powered sales person e.g. best before, slightly damaged, monthly payments, credit available, one previous owner, no time wasters etc. Get the tone right and you have a lot of fun with a poem like this. 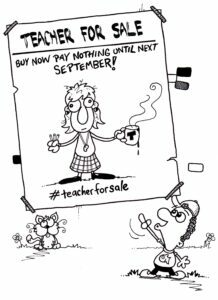 I hope the lovely children in you primary classes have a lot of fun putting their family/ friends and teachers up for sale. I’d like to claim 10% commission on any sales achieved on the back of this email! Feel free to send me any particularly successful advert poems!